When everyone's eye is on Too Faced: A Few of My Favourite Things palette (post here), I spotted this little box sitting at the corner - Too Faced All I Want for Christmas gift set, exclusive pattern designed by Celebrity Decorator Mary McDonald. The content of this gift set is great! 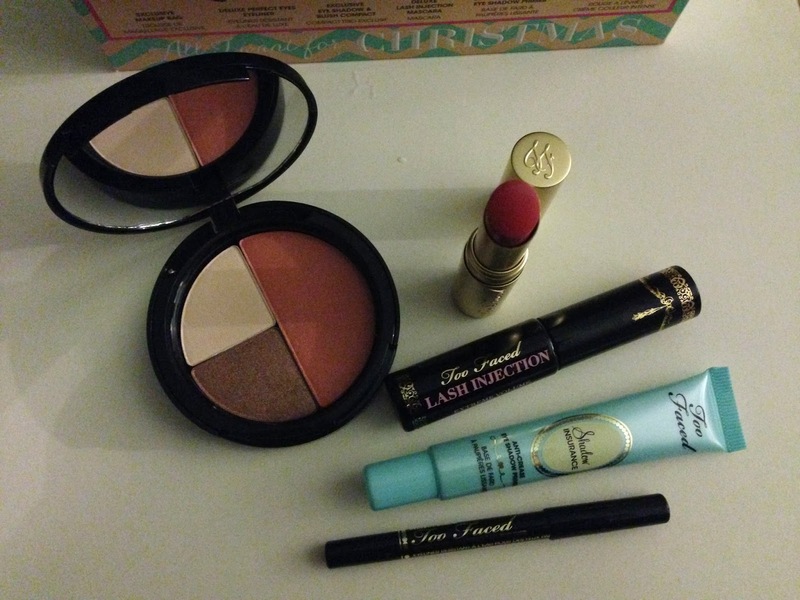 A compact trio with two eyeshadows and a blush, a travel size mascara, a travel size eyeliner pencil, a full size eyeshadow base, a full size lipstick and a cute makeup case/ pencil case. 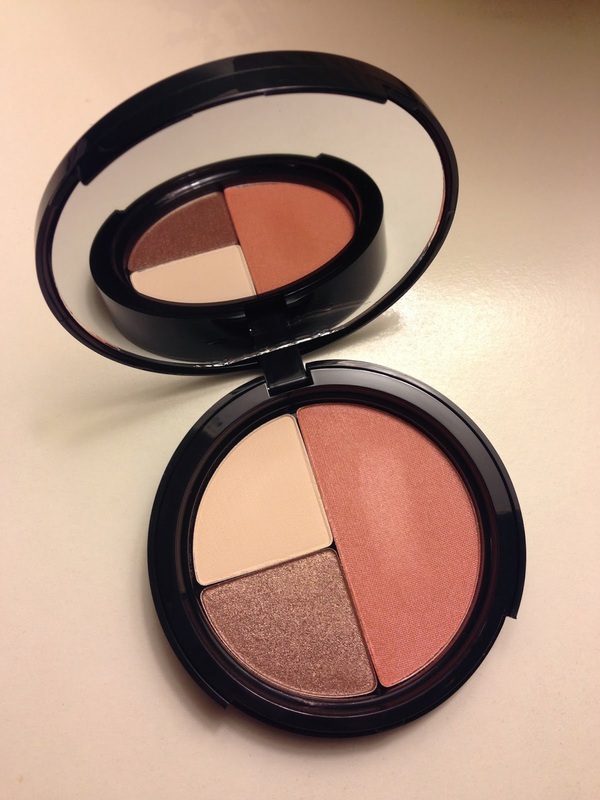 The exclusive blush/eyeshadow trio compact is a great simple compact. 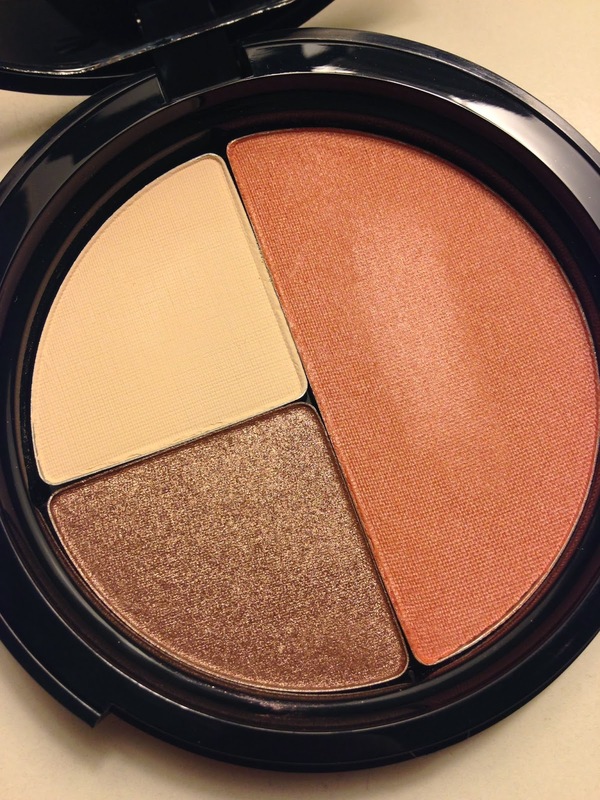 Matte vanilla, shimmer dark brown, and peachy pink blush with a little gold shimmer running through. The compact has a good size mirror for on-the-go touch ups. The pink with gold dots cover is cute! Next are the travel size Lash Injection mascara in Black, the travel size Perfect Eyes eyeliner in Perfect black, and a full size Shadow Insurance eye primer. 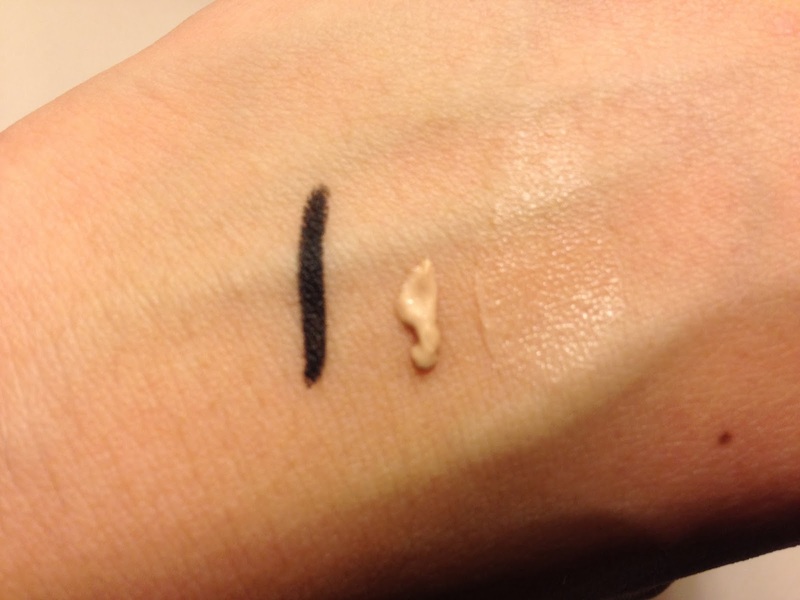 The eyeliner is creamy and really black! It is amazing that once it's set, it is not going to move. Shadow Insurance is in original shade of beige (blended out colourless), which I have been wanting to try for some time. 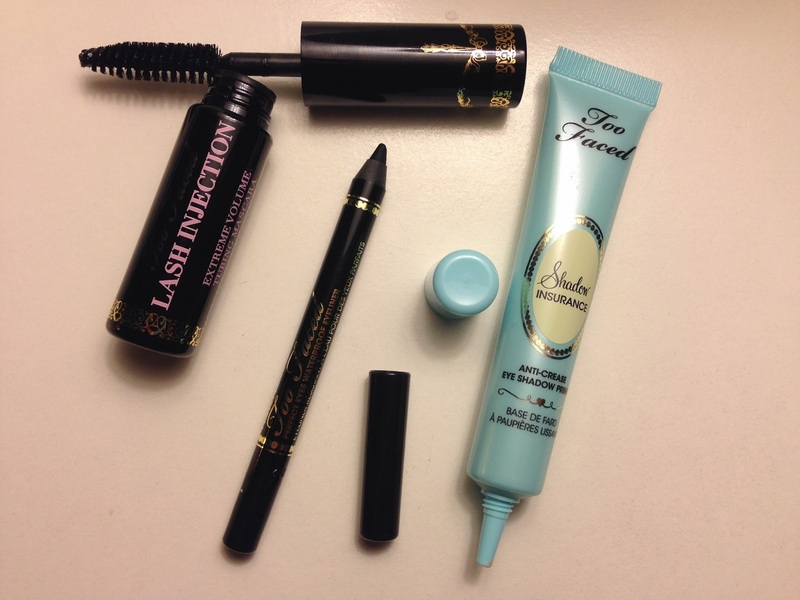 I have not yet tried the mascara, but I shall report back! 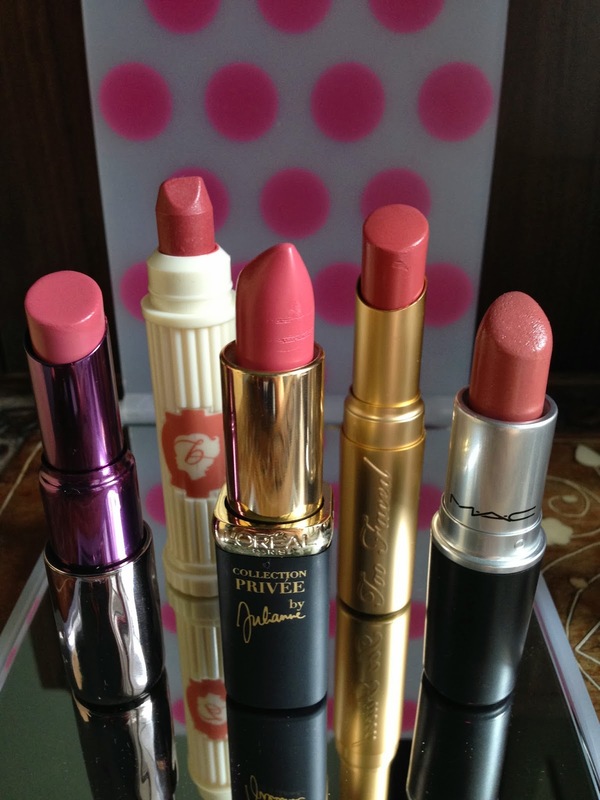 My favourite item in this set is the full size La Creme Lip Cream in exclusive shade Believe. 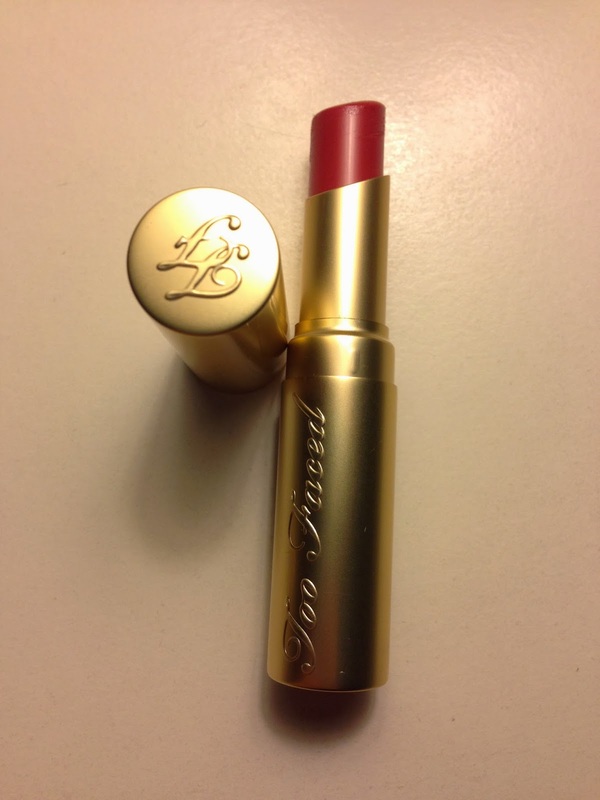 It is very similar to my favourite MLBB lipstick Too Faced's Spice Spice Baby (my MLBB post here). Believe is a touch more red than Spice Spice Baby. 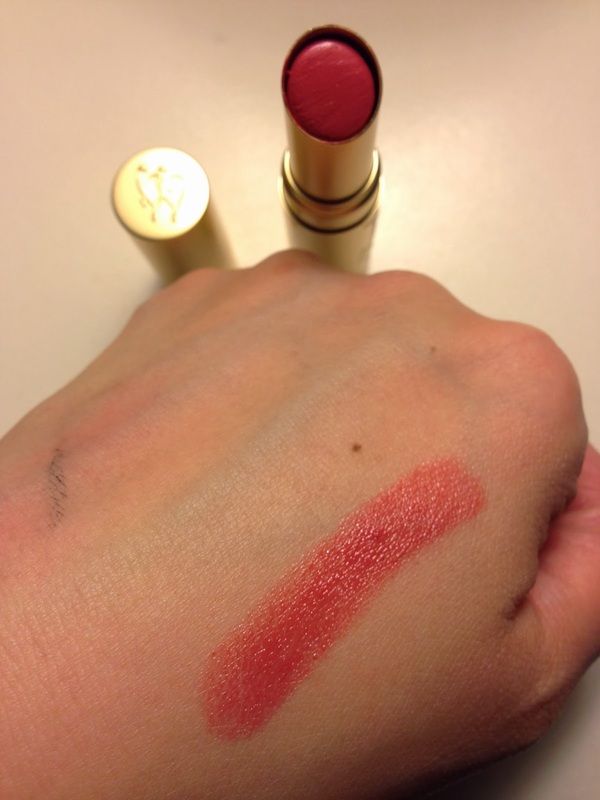 It is such a gorgeous MLBB colour! 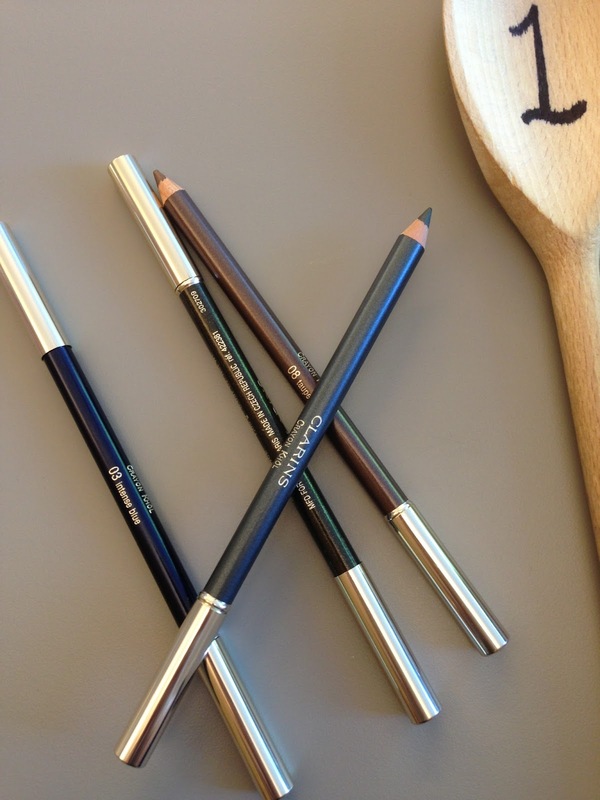 This is a great starter kit for any teenagers who is just into makeup. It is a simple set but it covers all bases! And with a sassy case for school too! Go and check out Jen From Head to Toe's video too! 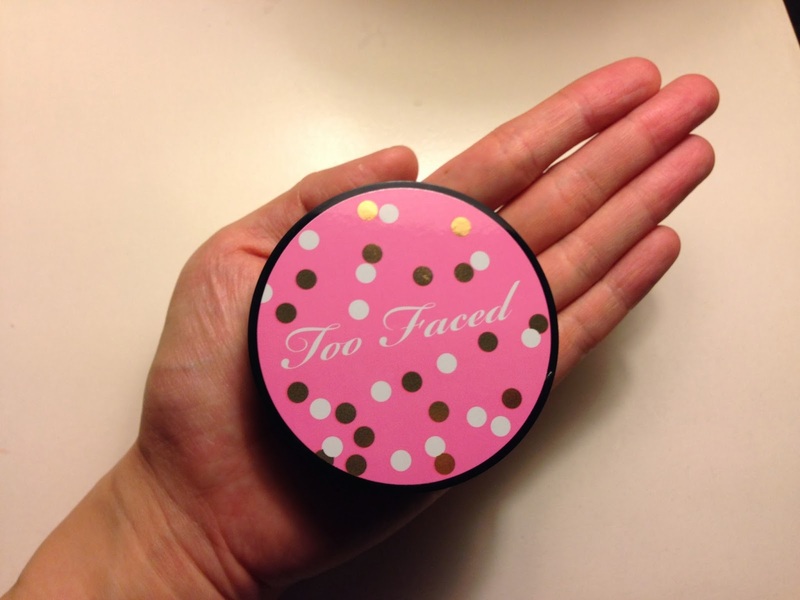 She interviewed the founder of Too Faced Jerrod Blandino to chat about all the Too Faced palettes and other fun stuff! Too Faced All I Want for Christmas is available from Debenhams, it has 10% discount at the moment, reduced from £35 to £31.50!! Do you own any of the Too Faced Christmas palettes? Or are you buying any as gift?